It was great to see Herb alive and smiling. Herb was cautious, and happy. Herb eventfully left St. Elizabeth’s hospital to live and work on his own. A funny note I remembered as I completed the last entry. The last time I saw Herb I was with my new wife Sherry. She joined me on a trip to visit Herb. As we were leaving the hospital I was explaining how sever Herb’s injuries were and how close to death Herb was, when we heard someone behind us. It was Herb in his regular, not an electric wheelchair. Herb, by now, had the partial use of both of his arms. He could use his arms enough to push his own wheelchair and type on his keyboard. We said goodbye again and then with a big smile, Herb said to Sherrie “I’ll race you to the elevator!” Sherrie turned to me as if to ask what should I do. I quickly told her “Race him, he’s already got the lead! She did and Herb won! .After all that, I again went back to selling computers to first time users out of that little Apple retail store while never giving what I did a second thought. The day after I saw the success the system was having with Herb and we did the NBC NewsCenter story that I got a call from Fate. It was right after I opened the store at 10:00 AM on a Thursday. Thursday always seems to be the best day of the week. My secretary and I were coming through the front door and heard the phone ring. She rushed to grab it and in a huffing voice, she gave her usual salutation. After a moment she told me that it was for me. I was turning on lights and readying the showroom for business and didn’t want to be interrupted. I asked her to take a name and number and instructed her that I would call back who ever was on the phone, once I opened the store. She got my attention and said, “I think you might want to take this call.” I snapped back an impatient “Why? !” She then told me that it was the secretary to the CEO of Apple, John Sculley. Of course my response was “RIGHT!” “Who is it really?” She said it’s really her. She asked if I could come to Cupertino, California on Monday to meet with their Education / Special Education team. She said that John Sculley was at home watching the evening news and saw one of his computers save someone’s life and he wanted to meet that person responsible. She told me not to worry about the expenses that Apple would pay for everything. She further told me that if I were willing (as if I weren’t), she would overnight everything I would need to travel to meet with them. I agreed and gave her the address to my store. I hung up the telephone and went back to opening the store as if nothing had happened all the while thinking, what the he## was that all about. Could it be true? It turned out that if a news reporter does a news story that they feel has merit, they could upload it to the, in this case the NBC satellite, and if any news stations liked the story or needed a filler story, they could download it and the reported would get an extra $50. It turned out that is just what happened, only that over one hundred and fifty NBC affiliate stations across the country downloaded and aired that story that evening. One of the affiliates was NBC San Jose, California. That’s how John Sculley saw the story. Also as a sidebar that shows how Fate somehow wanted me traveling this pathway before I did knew about it. In the summer of 1983 I was running my first company that I founded, Civil Consultants. CC was a company that I owned where I developed the world’s first computer aided design software for civil engineers. I created earthwork cut & fill, coordinate geometry, road profiling, sub-division design, hydrologic watershed calculations, traffic and highway design. Ward Carpenter Engineers, the oldest survey company in the U.S. then owned by my uncle, asked me to help him with a title survey in Greenwich, Connecticut. It was hot and humid that day while surveying this beautiful home. At about 2:00 PM, the wife of the owner came out into the driveway with a try of ice-cold Pepsi products to quench our thirst. How nice! As it turned out, it was John Sculley’s wife Lee or Leezy if I remember correctly. I was surveying John Sculley’s home for his title company so he could sell it and move to California to run Apple. My wife calls me Forrest Gump II. It’s one of the many stories like this that made me write the recent book I published called Gratuitous Serendipity (available from my web site at www.LonSafko.com and Amazon). At this point all I could really do is wait until the following day to see if an enveloped did show up at my store to find out if this a prank or was it really Apple? I remember that it was a very long 24 hours. The next morning after opening the store, FedEx (also a relatively new company and idea at the time), appeared at my doorstep. Sure enough, he had an envelope for me… From Apple Computer, Inc. Yikes! I opened the enveloped and surveyed (I had to say that), the contents. Wow, it was a round trip ticket from Pasco, Washington to San Jose, California, a rental car agreement, and hotel reservations. This was really real. I’m going to meet the Wizard of Oz or Apple in this case. It was Friday and I knew I had the weekend to prepare. Saturday morning I set up my version of the SoftVoice System and tested and tested the system to be sure everything was working perfectly. I was demonstrating this to Apple! I frantically spent the rest of my Sunday building a carrying case strong enough to hold all of the equipment and the Living Room demonstration unit. A little plywood, a brass handle, a hasp and lock and here you are. A custom semi-professional, last minute, airline friendly, carry-case. I remember it was around midnight on that Sunday night that my wife-to-be knocked on my garage door with a plate of dinner for me. She knew even before she married me that this was only the first of many midnight dinners she would be making me (that’s why I married her). 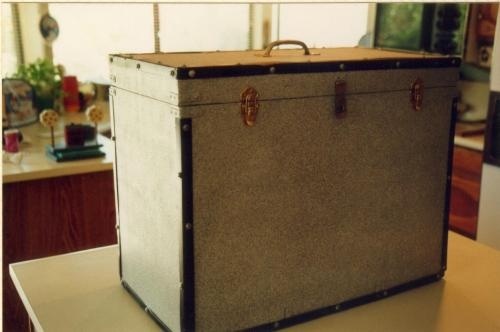 Recently when the Smithsonian Institution acquired 18 of my inventions and 30,000 corporate documents for their permanent collection, they really wanted to take this demonstration unit and case as well. They couldn’t accept it because they are so limited by size because of a shortage of storage space. They even measured my corporate records by the cubic feet, ten in all. Everything is cubic feet to them. It wasn’t that the case was too big as anyone who has ever been to the Smithsonian institution in Washington, D.C. knows they have a locomotive in their basement and real airplanes hanging from their ceilings, it’s all about storage in their warehouse. Well, that Monday morning in May 1987 broke and I found myself on a commuter jet whisking off to Apple headquarters in Cupertino. 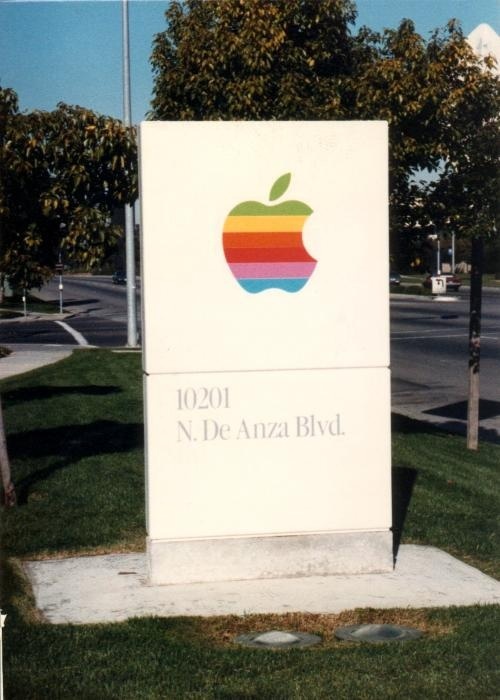 Later that morning I was standing in from of the Apple headquarters on Mariani Avenue. I really did feel like I was standing at the gates of the Emerald City in the Wizard of Oz. I was young and had never experienced anything like this before. I walked inside and introduced myself and to my surprise, they knew who I was and were expecting me. They asked me to wait and someone would greet me shortly. 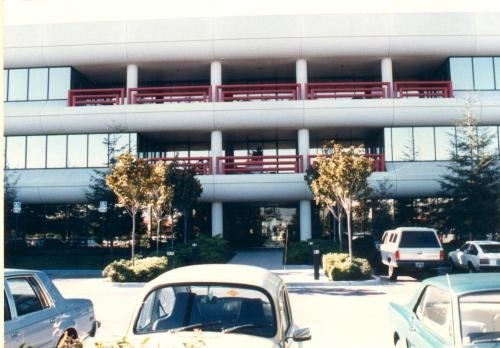 I remember standing in the lobby of that big building with it’s open courtyard lobby a watching all of the Apple employees scurrying around all of the floors above me as the sun shown through all of that lightly green tinted glass. Suddenly I was brought back to reality with a “Good morning. You must be Lon.” It was Pam Patton, the Director of Apple’s Special Education Division and one of the three people most responsible for Apple’s incredible successes in education. Pam escorted me to a room on the third floor where I could set up the computer. Pam made me comfortable and told me that she would be back shortly and that two others would be joining us; Dr. Alan Brightman the Director of Education and Special Education for Apple and Gary Moulton also in their Education Department. I took all of the equipment from my new carry-case and set it up. I thoroughly test it and was ready to knock their socks off. About then a young man in blue jeans, a ‘T’ shirt, and sneakers popped his head in and asked me if I was Lon Safko. I acknowledge that I was and asked who he was. He introduced himself as Dr. Alan Brightman. Doctor Brightman I thought! ‘T’ shirt, blue jeans, and sneakers? Apple really was casual. I expected a suit or even a lab coat, but I didn’t expect sneakers. Alan turned out to be a really cool and very intelligent guy. It was always a pleasure to work with Alan. I demonstrated the SoftVoice System and explained how it had saved the two quadriplegic’s lives and help them to regain the use of their arms. They were really excited about this. They wanted to buy that computer I had brought to have at Apple. They wanted to study it, demonstrate it, and I later found out another reason that they wanted to own that computer. I left Apple that day a little lighter than when I arrived as they did buy that SoftVoice System, serial #0002. They also knighted me; Apple Certified Developer, which I held for more than 10 years developing more than 125 software titles and creating 35 computer peripherals. From that day back in 1987 until Steve Jobs returned to Apple as its CEO, that SoftVoice Computer System was on display in a glass case in the lobby of Apple’s headquarters in Cupertino next to a glass case that held the original Apple I, built into a leather briefcase. 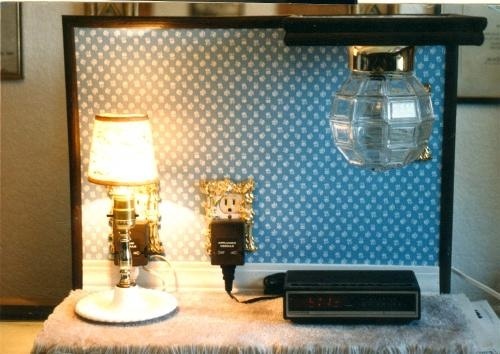 The Apple I’s glass case had a sign that read “The First Apple Computer”. My case had a sign at its base that read “The First Computer To Save A Human Life”. When Jobs returned, he wanted to freshen up the look at Apple and it was out with the old and in with the new. He told maintenance to… get ready for this… throw out all of the old junk in the lobby! We’re not sure where all of these priceless relics went. The Computer Museum in Mountain Side, California, which is the largest and most prestigious compute museum in the world, now is home for the Apple I computer in the briefcase. While I was working with the Smithsonian Institution to secure as many originals as I could, I was told by Apple that my original SoftVoice System now resides in the Math Center Library at Stanford University. If anyone can verify this, please send me an email at LonSafko@LonSafko.com. As a sidebar: The Computer History Museum also houses 14 of my other computer inventions. And just for fun, Apple really did have popcorn-vending carts on each of the four corners on every floor of all their buildings including their headquarters, and a guy whose only job it was to make sure that all of the machines had fresh corn popping. Popcorn was Steve Jobs favorite snack. 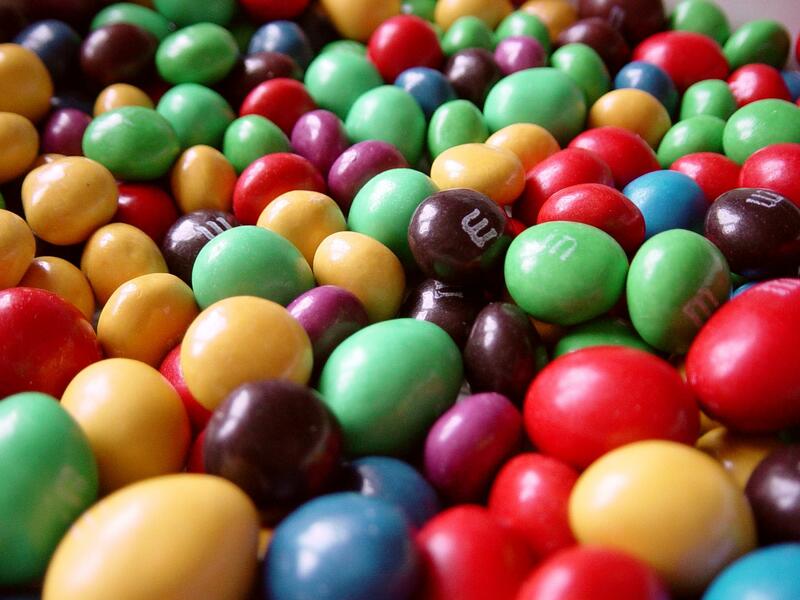 When John Sculley took over Apple, he replaced all of the popcorn carts with M&M candy jars on every corner. Nice, but it didn’t go over real big with the Apple employees. And, I don’t like the peanut kind. And, the stories about the 4:00 Friday, weekly Beer Bash in the Quad, also true. Ahh, the good ole days at Apple.